Thank you for your kind words, Diane. 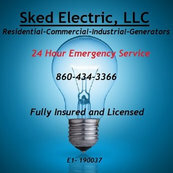 We recognize that there are other electricians in the area that you could have chosen and appreciate that you chose Sked Electric! Thank you for your kind words. We aim to please!